The color of SHOT Show 2014 was clearly grey, and 5.11 led that charge with their Storm Grey offering. Predominately introduced in their hugely popular clothing line, 5.11 is continuing the move by showcasing popular items and accessories in Storm Grey, including the TACTEC plate carrier. The Storm Grey design specifically targets law enforcement and special operations units in the urban environment, yet is neutral enough to appeal to a much broader group of shooters. 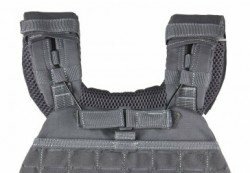 Traditional heavier tactical vests offer more comprehensive cover than plate carriers, but do so at the expense of bulk, weight, and far less mobility. When rifle grade armor plates are added those heavy vests become even more cumbersome. 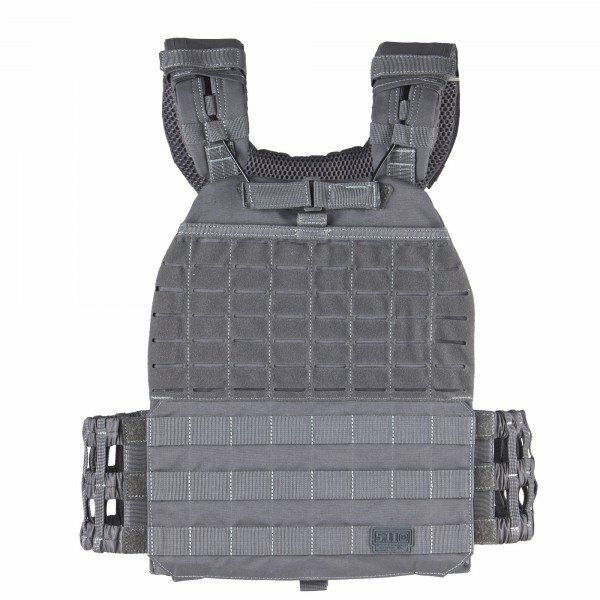 The plate carrier concept was designed to provide maximum coverage over the vital areas of the wearer’s torso, with a much slimmer profile facilitating greater mobility and comfort. The 5.11 TACTEC plate carrier is one of those options. Like many 5.11 products, the design of the TACTEC is a combination of the latest manufacturing advancements with end-user design recommendations. 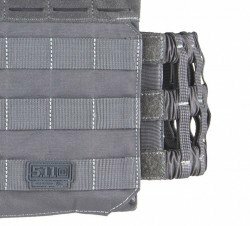 Two features that really stand out on the 5.11 TACTEC are the quick release escape system located on the front of the carrier, and the extendable drag handle on the rear of the plate carrier. In the event the user is exposed to fire, hazardous materials, or is in need of medical care, the quick release escape system provides a manner to remove the carrier in seconds, without having to manipulate the user’s arms or body to pull the carrier off. The second improved feature is the extendable drag handle that provides an incredible improvement to traditional fixed drag handles. Being able to extend the handle away from the carrier by use of a tethered nylon strap allows a rescuer to pull the wounded user from a more stable and normal standing position, instead of bent over grabbing traditional fixed drag handles. Being able to stand while dragging a wounded buddy could allow the rescuer to return fire from a much more stable shooting platform than being bent over. Skelotonized side panels reduce weight. The 5.11 TACTEC appears to answer many of the demands customers have for a lightweight, mobile plate carrier with unique features, and quality construction. What do you think of the Storm Grey offerings?